Important:5-drawer storage locker. Drawers:130x150x50 mm. Depth mm:150 mm. Normalized SKU: V9173. Mast Mount Bracket. Boat part number 8701532 is a new flush skin thru hull fitting from Osculati, part number unavailable. Commonly used on Carver / Marquis Yachts, part number 7408309, but may be used on other boats. Boat part number 8701536 is a new flush skin fitting from Osculati, part number 17.525.02. Commonly used on Carver Yachts, part number 9600142, but may be used on other boats. Part Manufacturer: Osculati. Manual Lead depth sounder with heavy duty cord, marked every 3 Ft. It has a total of 36 Ft. We're based at 3715 Big Creek Rd. Ellijay, Ga. 30536. 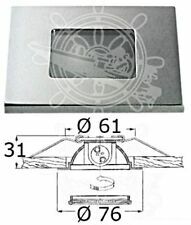 Boat part number 8701211 is a new pair of flush mount deck hinges from Osculati, part number 38.196.00. Commonly used on Carver Yachts, part number 9600332, but may be used on other boats. Part Manufacturer: Osculati. 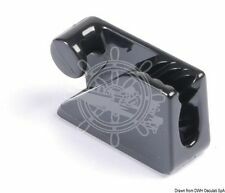 Boat part number 8701540 is a new flush skin fitting from Osculati, part number 17.525.04. Commonly used on Carver Yachts, part number 9600141, but may be used on other boats. Part Manufacturer: Osculati. It is brass, 12V with max flow l/h 200 & constand flow l/h 100. Canceled Orders and Order Changes . Type:with rigid board. Important:Suitable for mast climbing. Fitted with side object-holder pocket and tool rack. Available in one size only. Stainless steel line clamp cutter. The clamp system enables to install the cutter without disassembling the propeller. Axis ⌀ mm - A: 38.10 (1" 1/2). Axis ⌀ mm - A. Outer ⌀ mm - B: 100. Outer ⌀ mm - B. Stainless steel line clamp cutter. The clamp system enables to install the cutter without disassembling the propeller. Axis ⌀ mm - A: 25. Axis ⌀ mm - A. Outer ⌀ mm - B: 80. Outer ⌀ mm - B. Thickness mm: 22. Propeller puller - shaft lines. Suitable for 2 to 5 blade propellers. Made of high-resistance steel. 52.962.01 For shaft lines mm 25 to mm 38 (1" - 1"1/2). (IP65 watertight.Stainless steel body. 1 - 2 - 3). Length mm: 1000. Version: Fuel. 27.165.15 Fuel 150. 27.165.17 Fuel 170. 27.165.20 Fuel 200. 27.165.22 Fuel 225. Chain Rainbow marker kit, assorted colours. The kit includes markers in 5 colours (white, blue, yellow, red and green). No of inserts: 50. No of inserts. 01.501.06 6 mm 70. 01.501.10 10 mm 40. 01.501.12 12 mm 40. Important:Norwegian style horn cleat. Mahogany upper part, polyester coated. With studs. Centre distance mm:87,1. Important:Lock for W.C. units, fitted with internal locking system. FLAT stainless steel switch. 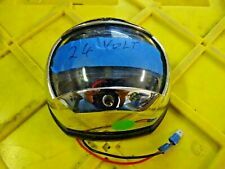 CNC-machined AISI316 stainless steel case.Amperage: 20A at 12V. 14.215.01 ON-OFF 12 20. 14.215.02 ON-OFF 12 20. Propeller puller - shaft lines. Suitable for 2 to 5 blade propellers. Made of high-resistance steel. 52.962.02 For shaft lines mm 40 to mm 52 (1" 5/8- 2"). (SAE 5-bore international flange. 12/24V compatible. IP65 watertight. Stainless steel body. 1 - 2 - 3). Length mm:500. Stainless steel line clamp cutter. The clamp system enables to install the cutter without disassembling the propeller. Axis ⌀ mm - A: 35. Axis ⌀ mm - A. Outer ⌀ mm - B: 100. 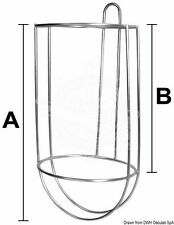 Outer ⌀ mm - B. Thickness mm: 22. Made of transparent PVC with white soft PVC spiral. Can bend round corners without becoming crushed. Non-toxic in compliance with Ministerial Decree No 172. Thickness:2,5 mm. curve radius:40 mm. Made of polished ABS with snap closure. With lock:yes. Internal size:435x145 mm. Stainless steel swivelling davit. Ideal to hoist tenders (in pairs) or outboard engines. Cm: 30x45. "Gran Pavese" flags set. Title: Briar Steering Wheel 370mm. Stainless steel steering wheels fitted with cubic crown. Hinge set. Made ofstainless steel, suitable for seats; fitted with stoppers in two positions:driving position and 180° sun rest position. of the side mm: 330x60. Title: Waste Water Tank 78 L. Capacity l: 78. Rigid polyethylene waster water tanks. Fitted with female connectors on the two heads size 3/4" and 1 1/2" for loading, drain and vent. Certified in compliance with ISO 8099 standards. Straight fairlead made of stainless steel, Capri series. 40.303.12 Straight 16 mm 40.142.08; 40.142.09 M8 120 mm 23 mm 31 mm 84 mm 22 mm 64 mm. 40.303.20 Straight 22 mm 40.142.12 M12 200 mm 39 mm 48 mm 135 mm 37 mm 105 mm. Important: Includes: white PVC 12x18mm hose with polyester reinforced fiber, high pressure, resistant up to 15 BAR adjustable water-jet pistol with clip-on connectors and 3 clip-on water joints. Important: Made of white polyethylene, fitted with side stainless steel handles, two lateral fishing rod holders, one swivelling central aluminium fishing rod holder; made ready for all pedestals available in our catalogue. White net PVC shower hose. "Full white" model more elegant than the traditional net version. Title:Heavy Duty Engine Support Wall Mounting. Important:Heavy Duty engine support for wall mounting. 350 Soft polyurethane Grey. 350 Soft polyurethane Cream. 350 Real wood Mahogany. 350 Real wood with inserts Mahogany and black. 350 Soft polyurethane Black. Steering wheels with stainless steel spokes. White GELCOAT. "4 in 1" high-resistance bicomponent white GELCOAT. To be used like a regular filler to be knifed out: the final result is a bright white finish restoring the original chipped, scratched or dented gelcoat surface. Plate mm: 40x4. 2 m 40x4 - 2080 58.660.55. Round ⌀ mm: -. Round ⌀ mm. 2 m 15x3 - 420 58.660.53. Remark: Sold in pairs. 6 m - 16 60780 -. 6 m - 14 38800 -. NMMA USA certified for deck mounting on boats up to 20 m. Conforming with COLREG '72. Variante:Polished SS body. Type:Green 112.5° right.